Pickup & delivery service Auckland wide and throughout the North Island. 100% Dependable. Transport of single items up to house lots. 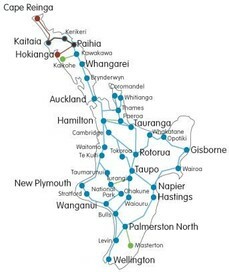 Auckland to Wellington to Auckland and all locations in between. We will take good care of your delivery. Please phone, text or email us with full address details, item list, contact details and preferred timing. We are happy to provide you with a no-obligation quote. Brilliant service and very reasonable. Everything arrived intact and on time at both ends, even picked up at item from another address for a nominal fee. Professional and replied promptly to emails. Very happy and would use this service again! Wonderful service. This is the second time that we have used theses guys and will certainly use (and recommend) again. Excellent communication, totally reliable and exceptional value for money. Super friendly, helpful and prompt service. Highly recommend ?? After a long period to sell my house Scott was an absolute pleasure to deal with. I kept postponing the job due to set backs and each time Scott was a legend about it. I had a house hold of furniture and it arrived with out a scratch. Professional and great to deal with. You can't ask for more than that. Thanks to Scott and his team. 110% happy. 10/10 Auckland to Wellington Moving can be daunting. Scott and Alex's communication, dependability and efficiency made the experience a great one. Their price was a mismatch for their service and I would definitely go with them again. Highly recommended! Scott and Alex moved furniture from Auckland to Wellington for us and all that the previous reviews say is true; Competitive rates, prompt replies to all emails and calls, great service in all ways. Would never use anybody else in the future. Thanks. Robyn and Richard. Moving a bedroom suite, bought via TradeMe, from one side of Auckland to the other was a breeze with clear communications from Scott with both the selling and the buying party. Extra bonus was that the service was timed as promised and delivered with a smile! Strongly recommend Scott and his team to do small moving jobs around Auckland! Moving from Auckland to Wellington. I would say best job done. Thanks for your services and wish you good luck. Fantastic to deal with, very quick communication, extremely competitive quote, fast and no hassle delivery. Goods well wrapped in moving blankets. Would use services again without hesitation. Thank you. Required movers for AKL to Palmy. Scott quoted to deliver my furniture 2 days after pick up for a good price whereas others wanted more $ but delivery would be anywhere between 1 & 3 weeks after pick up with no ETA until the day before drop off. Highly recommend Alex & Scott. Very nice people. Fantastic service, kept to times and was really helpful in adding a few extra items to the load. Would recommend and use again :-). Jake here, we recently had Scott pick up a two piece lounge suite for us from Titirangi to the North shore that we had purchased on Trademe. His communication was perfect, kept us up-to date with changes in traffic and made the whole thing hassle free. Wouldn't hesitate to use this mover if needed in the future. Highly recommended.